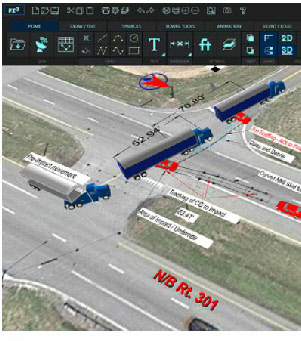 FARO Zone 3D is a revolutionary software application for public safety professionals. 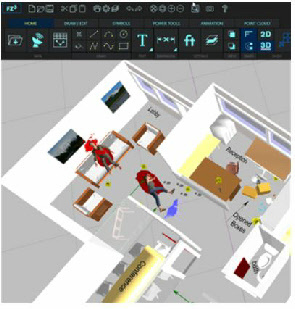 Through its advanced smart tools, it is the first of its kind to enable investigators to move fluidly between 2D and 3D and use 3D views to enhance the accuracy and quality of your diagrams, analysis, and animations. 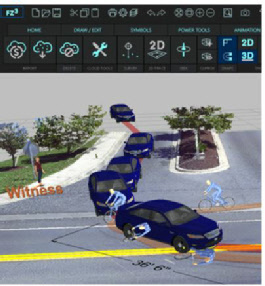 Crash, crime, and fire investigators will appreciate that FARO Zone 3D is easy to learn and use to create compelling reports and courtroom presentations. Use exact measurements from the scene to perform analyses for crash reconstructions and crime scene investigations, including bullet trajectory and blood spatter. Being prepared for court was never so easy. 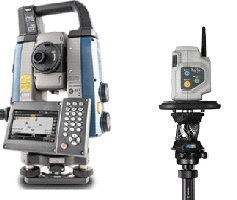 *FARO Zone 3D Advanced (available separately) includes the ability to open 3D point clouds captured with drones and laser scanners and use point cloud data for diagrams, analysis, and animations. Special loyalty pricing available for customers of Reality, ARAS, HD, CAD Zone, Crime Zone, Crash Zone, Fire Zone, CAD Zone Point Cloud, or Insurance Zone. Call us for availability and pricing. 30-Day Trials of FAROZone 2D and FAROZone 3D. Click on any of the sample photos above for FARO Zone 3D PDF Flyer.